Yes, the grand jury has apparently voted to indict person, or persons, yet unknown. Flynn, Manafort among possibilities. 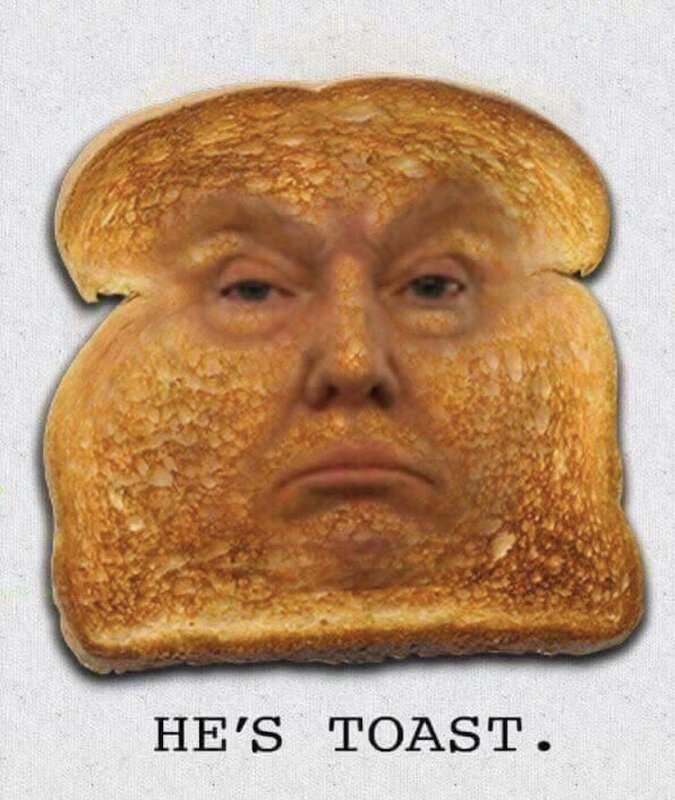 He is not below firing Mueller and his orchestra has already started screeching about it. He probably already has made a deal to pardon everyone who keeps their lips sealed and protects Trump and the rest of his cronies. Trump media policies are expanding the fake news media outlets bigtime in the US, so soon the vast majority of Americans will be readily agreeing with fake news., and then rightwing freaks will be elected and control the political agenda forever. The Democrats might as well not even exist for all the opposition they put up and appear to be more focused on how they can keep Bernie from being their next presidential candidate. I disagree – you are ahead of the facts that will make a difference. 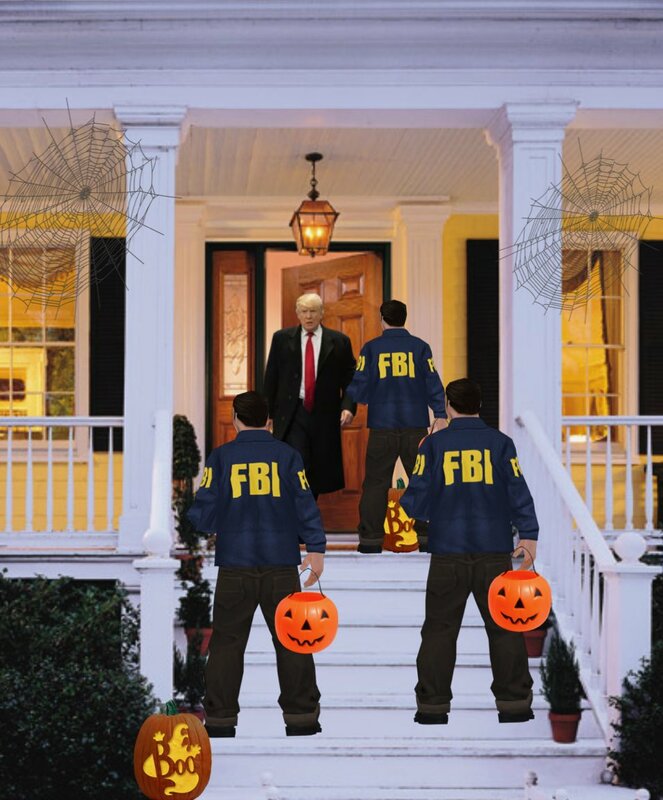 If there is no evidence against him personally, Trump is safe for now. If there is proven guilt though it is hard to imagine that his fingerprints would not be all over it. Trump is known to meddle directly. 2) Against Republicans in more moderate districts worried about the political impact of his tax and health policies. Now some of these are Republicans. The drip drip of concern here is adding up. Trump's support is not budging from the low levels it has been in -- and likely it is stuck there. If there is no new evidence Republicans will pray (that's what they do) to be able to weather the storm. A significant revelation and they may cut their losses. Trump is damaging the Republican party but they are hoping for a tax cut and won't throw him out unless he pooches that. If he cannot get tax reform through (and the Republicans cannot agree on what they like) he is in trouble. Trumps policy position is almost impossible -- no matter what he does he will make enough Republicans angry. At the end of the day it is difficult to get rid of a President but this one is as weak as they come. The Republicans like his bluster but the party has little agreement on any action and too many who are already angry. If Trump does not have a quiet time soon, he will run out of goodwill to burn on his side of the aisle. Yes, it is beyond hyperbole to say "the vast majority of Americans will be readily agreeing with fake news[ie. pro-Trump propaganda]". Ir is in fact pretty much the exact opposite of the situation. Trump couldn't even win a plurality of the popular vote, and nothing he has done since the election would make his detractors like him any more than they did before. I'd still say it's POSSIBLE that he could win re-election, but there would have to be a lot of other factors at play(yellow-dog Republican voters, absolutely awful Democratic candidate, US gets into a shooting war with North Korea just before the election etc), apart from just "Fox News tells everyone to vote for Trump and they all obey". Please do not invest too much emotional energy into this narrative. This is almost the definition of concern trolling. "Don't start thinking that you may be correct, and I mistaken, because you'll only be emotionally crushed when I turn out to be totally right." It's annoying as hell. Especially when your premises are so lacking in factual support. I have posted at least a dozen links to serious articles describing in detail Trump's long term dependence on Russian money laundering to keep his business afloat. Here's a fairly recent example from The New Republic. It starts in 1984, when a 38 year old Russian immigrant named David Bogatin, who had no obvious source of great wealth, bought 5 units in the original Trump Tower, for about $6 million. It traces Trump's dependency on dirty Russian money from there, through the early 21st century deals with Felix Sater and Bayrock, at least up to 2010, when Sater was given his own Trump Organization business card, that read "FELIX H. SATER, SENIOR ADVISOR TO DONALD TRUMP". The idea that everyone underestimated Trump in 2016 is a little mis-stated. Yeah, not many people(myself included) predicted his victory, but throughout the campaign, his polling numbers often managed to get within striking distance of Hillary, occassionally even equaling or bettering hers. So his ultimate victory really wasn't some unforeseeable lightning strike, more like a contemporary rehash of Dewey Defeats Truman, or for an example from an era with more sophisticated polling techniques, Major Defeats Kinnock. These days, from what I'm taken to understand, Trump's poll numbers are much worse than they were during the campaign. Like I say, I think the GOP could still conceivably win with him on the ticket, but it would be in spite of, not because, of him. So Trump is actually being investigated by the FBI according to what Trump's Chief of Staff Kelly said last nite on Fox News! It is strange that anyone thinks Trump is magical or even powerful. He is, in fact extremely weak. His power comes from powerful people who find him useful. His run of doing what people thoguht he could do was simply a testament of how soiled these people would allow themselves to get to be able to use him. As I have said he is no longer useful once either his tax reform passes or is proven to be impossible to pass, once he completes the wrecking of whatever he can of regulations and once his interference with business interests (through NAFTA) shows fewer dividends than benefits. Powerful people have enough self control to have allies that are loyal. Powerful people are loyal to him only in so far as you can be loyal to a hammer. His grass roots supporters are mostly stupid and have little influence over where this goes -- they just don't know that yet. The forces that brought him will take him out to the trash when they are done. And another point -- they will want him to do a few things they can blame him for later when they pretend to oppose all that he has done that is unpopular. Kelly’s remarks, then, are part of an American tradition of historical denial, and he is hardly its only adherent. The president took the news of the first indictments with exasperation and disgust. He called his lawyers repeatedly. He listened intently to cable news commentary. With rising irritation, he watched live footage of his one-time campaign adviser turning himself in to the FBI. It’s up to Congress to police the executive—but so far, its Republican leaders are placing tribal loyalty ahead of their constitutional responsibility. 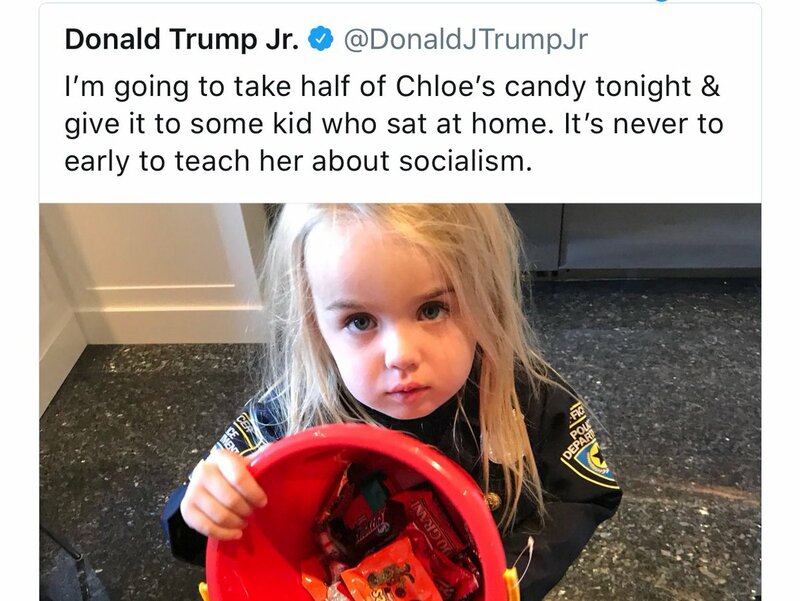 According to Don Jr it’s never too early to use your child as a political prop, or to steal candy from a baby. I think they don't care. I think the strategy is to try to get an obscene tax proposal through, let Trump wear it politically, and then get rid of him. It is in their interest to let Trump survive for a few more months and get the nasty policies they want and then clean house (keeping the policies). This way the Republicans can bring in truly awful policies and still get re-elected. It is somewhat risky but not more risky than any other strategy that would enact these policies. Ukrainian investigators who helped collect evidence used to indict President Trump’s former campaign chairman also want to look at Manafort’s possible role in a 2014 massacre. Over the last several weeks, a few top Republicans have found the courage to say out loud what a majority of Americans have known for a long time: With his erratic behavior and antidemocratic eruptions, Donald Trump is presenting a profound danger to security of the nation and the stability of the world order. So far, these dissidents have beat their chests in a safe space, giving eloquent speeches on their way out the door. But it will not be hard for them to turn their words into actions if Mr. Trump gives in to an impulse to fire Mr. Mueller. Do the math: Three Republican senators (looking at you, Mr. McCain, Mr. Corker and Mr. Flake), joining with 48 Democrats, could bring the Senate to a halt until Mr. Mueller was reinstated — no tax cuts, no more judges confirmed. Correct me where I'm wrong. Literally every argument that Sean made (establishment repubs hate him, his base will get sick of him, he's just an idiot, etc) has been made over and over during the last 30 months, and every time those predictions were wrong and spectacularly so. Not just wrong but the complete opposite of what actually happened. What's the difference this time? I expect the same results as the last dozen times these predictions were made, so I'm a concern troll? 85% of water speed record attempts are fatal. If you know someone who's going to attempt to break the water speed record, and you tell them if they try they will probably not break the record and also die, that's not concern trolling, that's just a common sense conclusion based on the data. If someone says that Trump's base is going to get sick of his antics, or Trump needs the help of the #NeverTrump Republicans, or whatever, they're not paying attention to the data which unanimously suggests that's not the case and has never been the case. That's kind of proving my broader point. If your case against Trump is so strong, and we can assume his political opponents with their billion dollar campaigns are aware of said case, and he's still not impeached, then what makes you think he's gonna get impeached any day now? I literally laughed out loud when I saw this. Trump's supporters have been circulating this since Clinton started accusing Trump of colluding with Russia last year. Poetic that it's now being used against him. Historical revisionism at it's finest. Rachel Maddow did a good bit on this "even if Trump won every toss up, and nobody ever wins every toss up, he would still lose" as well. Yeah, his poll numbers are like the worst we've ever seen. And at the same time, the stock market is at an all time high, house prices are at an all time high, consumer confidence is at a 20 year high, business investment is way up, and everyone who relies on public support and challenges Trump is getting destroyed. Just look at Hollywood box office openings, or Jeff Flake, or the acceleration in the NFL's dip in ratings. Meanwhile anti-Trump news sources are suffering huge declines in ratings and the pro-Trump alternative media (and Hannity+Tucker) are seeing huge growth. This thread is giving me flashbacks to last October, good god. Don't trust the polls, use your eyes. You are confusing attention with popularity. How many of those outraged viewers are Democrats or non-voters who are now thinking of switiching over to Trump, or going back to active-voter status in order to support Trump, because of the anthem issue? Because long-time Republicans boycotting the NFL don't indicate any electoral movement. Same with the ratings for right-wing talk shows. You think there are really a lot of Hillary voters from 2016 who are saying "Well, I didn't like Trump last year, but he's really impressed me since taking office, and now I'm so fired up for him I'm gonna start tuning in to Hannity and Tucker to cheer on my new political heroes"? More likely, most of the increase in Hannity and Tucker's following is coming from the long-converted, who are being drawn into right-wing media by the rejuvenated attention surrounding Trump, and, to a lesser extent, people who have no intention of switching to him, but just want to see what the relevant media are saying. And in this day and age, it's quite easy for websites to get traffic from their political opponents, via linkage from not neccessarily friendly sites, eg. Slate.com publishing summaries about the latest right-wing media outrages, with links to the sites in question. Meanwhile anti-Trump news sources are suffering huge declines in ratings and the pro-Trump alternative media (and Hannity+Tucker) are seeing huge growth. There was a chart I saw a couple of days ago showing how much "winning" Breitbart is doing lately, I'll try to find it. Cody you need to let go of your straw man here. You missed the whole point of what I was saying. Perhaps you could slow down reread and take the time to look at complete posts. You also are listing points that I have never made (I did not say his base would tire of him-- the republican party is not his base). Trump is weak. He is there not because he is strong but becuase he is useful. All the weaknesses I mention are real but so is his utility. History has not proven strength becuase his endurance is there for other reasons. I said certain Republicans will stand by him until they have what they want from him -- a tax policy that they do not want their names on. They will use him to bring in what no intelligent politician would want to be associated with. When they get rid of him they will attach those things (that they wanted him to do) to his reputation instead of their own. They supported him in the past, the present and for a while in the future, in order to get what they want and to have him go with the smoking gun. Once he is no longer useful he will fold as the weak president that he is. People are looking at the wrong hand here. Trump is not the master conman -- the Republican party is. They want Trump to do some terrible things and they want him to fail and go away once it is done so they can wash their hands. Now others may say this but it is not the prevailing opinion. Most take the view that he is already screwed (I don't he is still useful) or that he is strong and crazy like a fox and is unbeatable. Both are wrong. He is not the story and his attempts to be the story are in themselves useful. The story is the Republican party have created a kleenex president they can blow their snot into and then remove. US citizens need to watch the things they are losing the policies rather than the person who is not the real story here. Republicans want you to think Trump is Putin's useful idiot so people do not see whose idiot he really is and why he is there. According to this article, Bannon is back. Cabinet has the power vote out the president. Bannon told trump that if the vote happens it may go against trump. Kashiner is being blamed for the problems and Bannon wants his head.